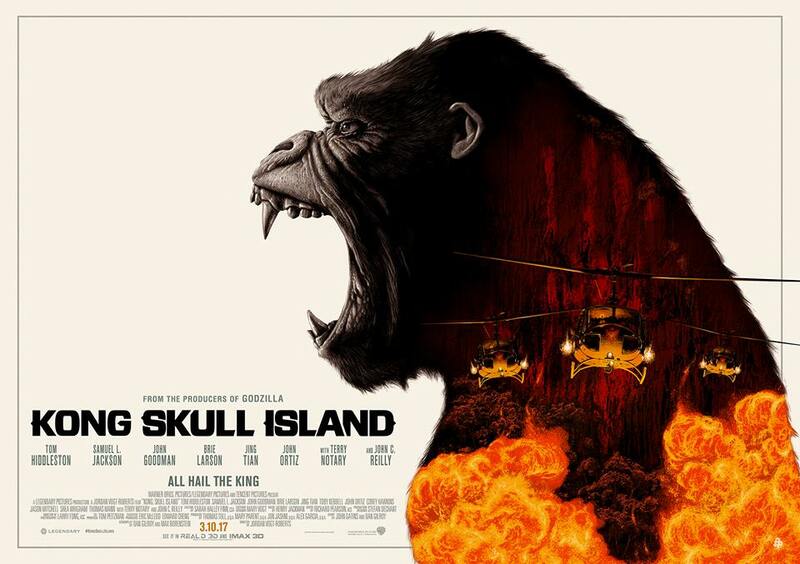 Kong: Skull Island presents a varied cast, a group of adventurers who each come at the situation from different viewpoints and walks of life. This made for an interesting plot with various twists and turns and lots of conflict. The characters were also extremely likable. I hope we get to see more of them! One incredible thing about this movie was its subversion of expectations. Spoiler, highlight to read: I started out the movie hating Kong, but by the end, I loved him. I loved his design, his animation, and his characterization. I loved the movie's usage of empathy and twists. It sends a good message, I think, about caring for those who are different than us. I loved it. In addition to the location, the cinematography and aesthetic in this movie were both stunning. The location, the historical setting, and the fact that Mason Weaver was a photographer all contributed to the style of this movie coming together in a gorgeous way that I didn't expect. The music fit perfectly with the historical period of the film but also the discomfort, discord, and uneasy vibe of the island. In particular, loved how perfectly the electric guitars meshed with the overall feeling of the movie. It was very well done. I was so scared during this movie, but in the best way. I like that the movie expanded on the mythos of large creatures beyond just a huge gorilla. I'm definitely hopeful for a sequel so we can get to see even more semi-creepy things. Okay, okay, I'll be honest: 99.9% of the reason I saw this movie was because of Tom Hiddleston, and he was perfect in this movie. Spoiler, highlight to read: (Also, that scene where he had the gas mask on and was running through the green gas in slow-motion shooting all the birds? That was visually stunning and took my breath away. I was very weak. All-time favorite.) I enjoyed this movie so much partially because of him. I am not ashamed. Even though the movie was fantastic, there were, as there are with all films, a few things I didn't like. The cast was diverse, but it could have been better. I wish that the characters like Brooks and San had been able to take the lead. Spoiler, highlight to read: While Samuel L. Jackson was a lead character, he ended up not being the best representation since he ended up "going bad" by the end of the movie. Yes, this movie had lots of POC characters, but they could have had bigger roles. I hope that if we get a sequel, the movie will improve on that. Mason Weaver, the photographer, was actually one of my favorite characters in this movie. While she may not fit everyone's perception of what a badass female character looks like, I do think she was a really interesting character and a valuable addition to the female characters of the film world. I liked her mission to document the world through her camera. She was very cool, so I'm not criticizing her or saying she wasn't feminist at all. In fact, I absolutely loved her. However, I think we can always do better. In the future, I hope the Kong franchise brings even more female characters into the spotlight. I also wish we had been able to see more of San. I was very intrigued by her and wished to know more. Kong: Skull Island pleasantly surprised me by becoming a new favorite. It was a high-paced action movie that kept me on my toes, yet had a surprising amount of heart. I definitely enjoyed it, and I'll definitely be back for more! Have you seen Kong: Skull Island? What were your thoughts?